K-kelp contains macro nutrients, plant growth hormones, amino acids, vitamins, trace elements and is enriched with potassium. 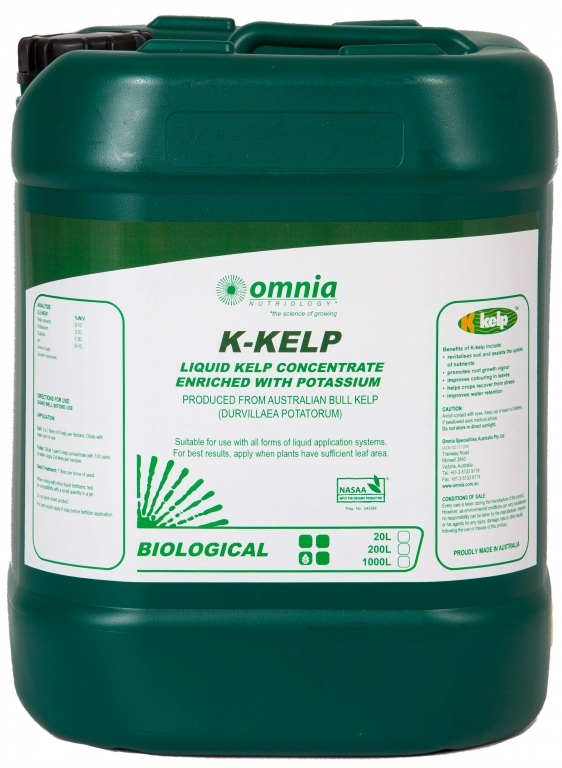 5 to 10 litres of K-kelp per hectare. Dilute with water prior to use. Dilute 1 part K-kelp concentrate with 100 parts of water. Apply 2-8 litres per hectare. 7 litres pr tonne of seed. K-kelp is a NASAA-Certified organic product of choice.